There are some basics that everyone knows when it comes to being able to behind the wheel of a vehicle. These are of course meeting the legal eyesight requirements, being older than the minimum age for drivers, and holding a valid licence for the vehicle that you are driver. 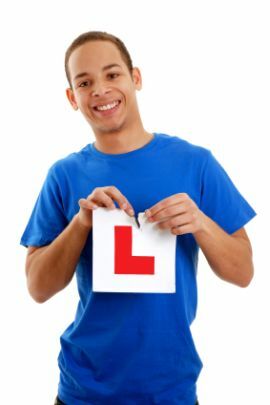 When you are learning, you have to be supervised by a qualified driver of the appropriate age and display L plates - there are more details of this on another page. When you are a qualified driver, you will need a vehicle, and there are stringent requirements in place as to what counts as a roadworthy vehicle that you can legally drive to. It must be registered with the DVLA, have a valid tax disc and also have a current test certificate (if required), and also you must have suitable insurance in place to drive that vehicle. There are various changes that you need to notify the DVLA of too, for instance if you change your name or your address, sell it, have a medical condition and if you make any alterations to that vehicle. This site of course focuses on car drivers and those learning to drive a car and specifically pass their theory test, but if you come across this article and are interested in driving a larger vehicle then note that eyesight and medical standard requirements are higher for those who are driving those vehicles, there is lots of information on this at the DirectGov website section for Motoring.